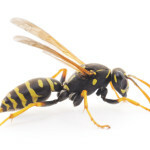 Why are Wasp Stings a Serious Health Threat? Most animals, birds and insects have special ways to defend themselves or hunt for their prey. 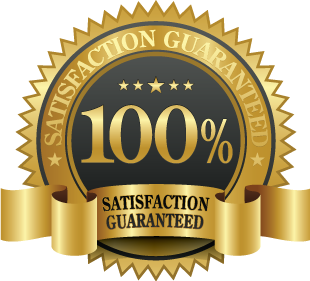 With the use of their effective defense mechanism, they can get out of any life threatening situation with ease. 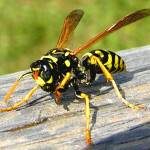 The wasp is one such insect that uses its sting as its defense mechanism in the event of a threat. 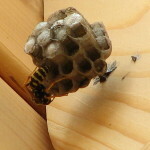 How and Where Do Wasps Build their Nests? 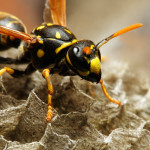 Most wasps are social in nature and live in colonies. Like bees, most wasp species therefore build nests in close proximity to their feeding grounds, thus enabling the expansion of their numbers. 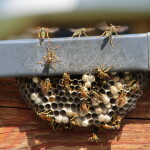 We can all agree that wasps are pesky pests indeed and often, it becomes necessary to deal with a wasp colony with a firm hand – read extermination. 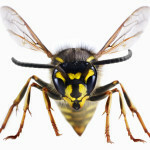 Wasps are quite often confused with bees. But neither are they bees nor flying ants like some people like to think of them. Perhaps the most interesting fact about wasps is that they can be found everywhere except in the Polar Regions. With more than 75, 000 recognized species, each species contains at least one species of wasp that either preys or parasites on it. 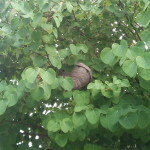 This is critically very important in controlling wasp population by removing wasp nests from your premises, considering wasps are among the flying insects that reproduce really fast. 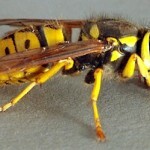 Why Wasps Are Dangerous Species?